Orca Eats, a food truck on Vashon Island, in Washington state. Only on Vashon, but maybe one day we'll go to the mainland. Orca Eats' food is fresh, seasonal, made from scratch. Produce is local and organic as much as possible. Meats are organic, pasture raised by farmers we know. Entrees include slow cooked dishes, quickly made fresh entrees, sandwiches, soups & salads, creative scratch made beverages, delicious real desserts. Click the Menu page for this week's menu. The fresh board on our truck lists the local farms and purveyors who grow and make our ingredients! And sometimes it includes jokes, announcements, give aways. Check Facebook, Instagram, Twitter and the Where? 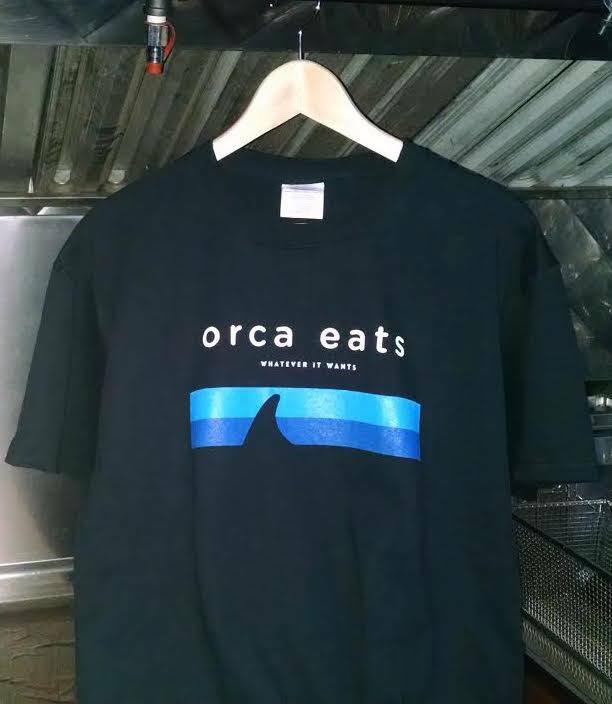 page for Orca Eats' latest news and location. Proudly eco-friendly, we use compostable birch wood forks & spoons, paper plates, cups, bags. Some bowls and plates are made of pressed sugar cane fiber! No plastic, no lids, no straws! When we cater, we use beautiful pressed palm leaf plates! Bring your own water bottle or refillable for a beverage discount. Buy a stainless steel straw next time you see us! Who are we? We are dedicated eaters and cooks on Vashon Island developing recipes and cooking for our Island neighbors and visitors. Who are we, literally? Emily & Alex Wigley and our helpful staff. Vashonites since '92, Emily & Alex closed our horse business and were looking for something different: a nimble effort that could be part of our island community by creating and serving good food, employing a few people, and following the whims of the seasons with local, real food for islanders and visitors. 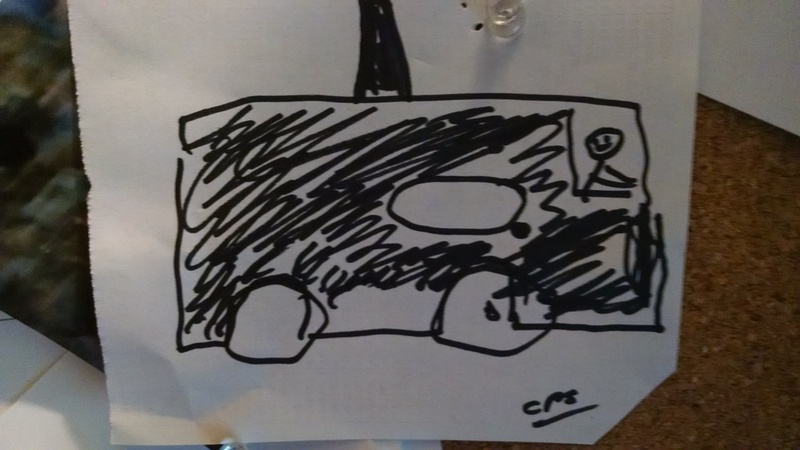 Alex built the truck. Emily cooks and manages. We have the best staff! Thank you, Lori and Sara! ❤️ We do miss Annie, Nita, Rio, Ayla, Mikayla, Lauren, Lillian and Kristina. That time Perrin worked was a blast! Orca Eats is a proud member of Washington State Food Trucks Association. We are very lucky to have so many great food trucks in Washington, from Walla Walla to Port Townsend, and all points in between. Please support your local food trucks. We work for progress in our industry! And we are a proud member of Vashon Island Chamber of Commerce. You can pay it forward and we will "suspend" or "bank" your $ for food, and serve someone who is hungry = just let us know if you wish to pay it forward. You'll feel great that you shared something with a neighbor in need, and someone will have a full tummy who otherwise would be hungry. Thank you! Our extra food goes to the food bank, hungry friends, and when it's not humanly sharable, leftovers and kitchen scraps feed some hungry pigs. Service, flavor and fun are what it's all about. Thanks for visiting our website. We hope to see you soon at the Orca Eats food truck on Vashon Island, Washington.